More much than an autobiography. For thousands of years, religion has woven its way through societies and people as if it were part and parcel to that society or person. In large measure it was left unexplained and unchallenged, it simply existed. Those who attempted to challenge and expose religion were often persecuted, excommunicated, shunned, or even executed. It could be fatal to explain that which the church, priest, or imam said was unexplainable. Before the germ, viral, and parasite theory of disease, physicians had no tools to understand disease and its propagation. 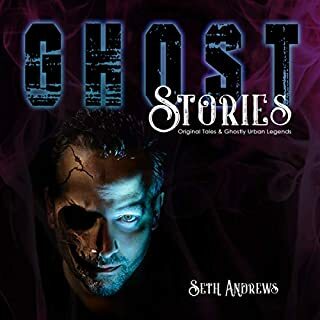 This new audio version comes with a few extras and the author's rants. 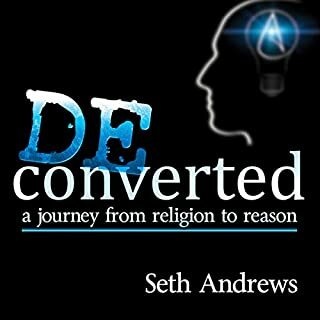 Would you consider the audio edition of Baptized Atheist to be better than the print version? I have read a lot of books like this, as I have been on the same journey as the author, and gone through the same difficulties and challenges, and found the same light at the end of the tunnel, so reviewing it is somewhat biased as I found myself nodding and agreeing all the way. It's an easy read, and delivered in a less aggressive and less frmal way that many others, and I enjoyed that. Sometimes these books are too apologetic (e.g. Why I believed) and sometimes to critical to put people off (e.g. 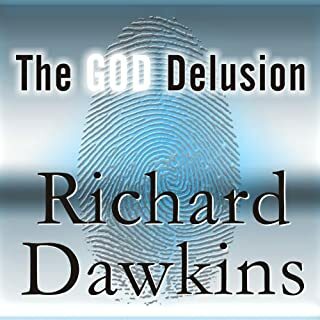 God is Not Great or The God Delusion) and I found this had a good balance between both sides. Thanks for writing this and getting it off your chest in a compelling and real way. A Journey About Religion That Everyone Can Take! This book is giving you a chance to view a journey of research and thought provoking questions on religion. This is great, because you won't have to take those years out of your life to get the same answers whether you agree or not with the outcomes. I liked it so much, I bought the paperback as well. My favorite part was during a debate in a church and asked a the room full of people what can a god see? He then tells a story that will effect you in ways each person may experience differently. It has changed how I see the world. Plus, there is one other part I have to mention. He discusses an analogy of religion that I have not heard of before, but is amazingly accurate. It is about a "Coin in the Field." That really hit home for me. Even my friends were impressed with this idea when we discussed it at a lunch today. What about David C. Smalley?? ?s performance did you like? He is a sincere and caring person. You want to befriend him wether you agree with what he is saying or not. He speaks to everyone with great courteousness and respect. I found that it makes me want to treat people better if I am ever in these situations again. This is one journey, you won't have to take alone. I don't usually get moved by a book in a way that makes me want to evaluate who I really am and make changes for the better right now. This one did that for me. I am grateful and I plan on living everyday of my life with more urgency and respect for others. If a reader is familiar and comfortable with Ehrman, Dawkins, Onfray, Harris, Shermer, etc., "Baptized Atheist' would be a step backward. It seems most appropriate for the reader for whom the validity of religion is a new, and still somewhat threatening, question. 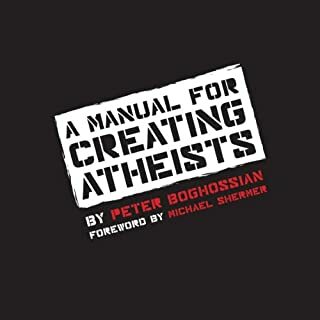 The author examines the truth of religion in general (and Christianity specifically) through the lens of his personal experience of becoming atheist. That his experience seems very similar to what most people endure makes this a potentially useful book for someone ready to explore the idea that his or her church is not a perfect source of truth and morality. There are a few inconsistencies, mispronunciations, and just a little hubris (at 19, the author claims to have stumped a veteran theology professor with his insights). Overall, it's a good first exposure to the manufactured nature of Christianity. "If the entire world felt like there was no heaven and promised themselves to create a heaven on earth, and promised themselves to become a guardian angel now, the world would be a much better place." I picked up this book after I became a fan of David Smalley's Dogma Debate podcast. It's brief, skims over some issues that could have been discussed in more depth and at times lacks organization. However, it's still a worthwhile read, especially for someone just beginning to question religion, or someone raised in a Biblical-literalist brand of Christianity. 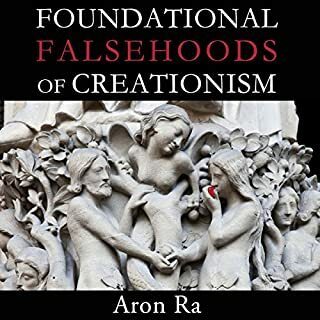 Smalley shares his discoveries of unsettling truths about the Bible, religious holidays and creationist beliefs - facts which are never brought up in Sunday School. He's at his best when he talks about the harm religion does to people and how it impedes rational thinking. After leaving Christianity, he started debating in churches and on religious radio programs. His recollections of these experiences were the best parts of the book. David’s journey is both a tragedy and a victory. Here, he recalls what it was like to lose his faith and then discover it was no loss at all. 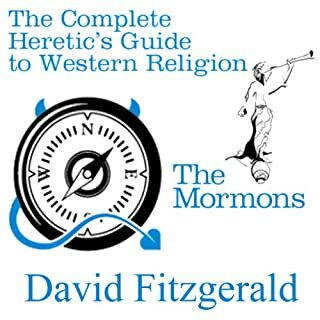 Regardless of your stance on religion, Baptized Atheist can be appreciated for its honesty and humility as you’re walked step-by-step through David’s thought process and his search for God. This is going to be the first thing I suggest to all that do not understand my journey. This book nailed a lot of the same moments on my path out of Christianity on the head. Cannot thank you enough David Smalley. I enjoyed this book, and felt like the author addressed so many of my issues and thoughts with religion. I am so glad that he was BRAVE enough to go against the norm and address the inconsistencies in Christianity. Sometimes it feels lonely out here for this believer, because I try to lay low and avoid conflict. I feel attacked when I reveal my status. I admire the author's willingness to put himself out there. it needs to be done. Lots of thought and study went into this book and it shows. This is a really good book to listen to, David Smalley to me seems like a really down to earth man and he's very passionate about what he talks about. Definitely 5 Star!!!! I appreciate David sharing his story about how he lost his faith through curiosity, questioning and reason. The lack of answers provided by the church were enough to send him on a journey for truth. That journey led him to a place where he could no longer honestly say he was a believer. Thanks for sharing David.